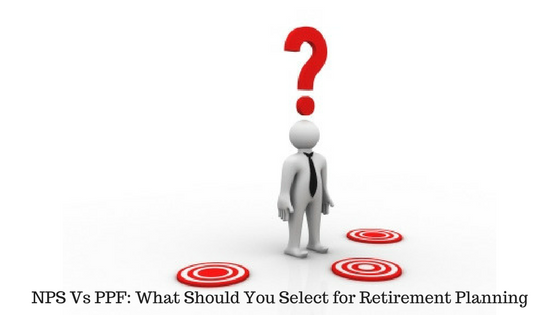 Are you facing a dilemma over the products in which you should invest for your retirement? Financial Planning for retirement is the most important financial goal to achieve for many of us. There are numbers of products available in the market for retirement planning. You can take EPF, PPF, various pension plans. And the latest addition to this queue is NPS. EPF is available only for the salaried class. Hence, the leftover is NPS and PPF. Let us examine the NPS vs PPF which is better for retirement savings. National Pension Scheme (NPS) is a scheme launched by Government of India (GOI) for regular pensions of Indian citizens after the retirement from their job. This is a contributory scheme and members have to contribute during the working years and they will get a monthly pension after their retirement. You will get a Permanent Retirement Account Number (PRAN) when you subscribe to NPS. In this scheme, two types of accounts are available. 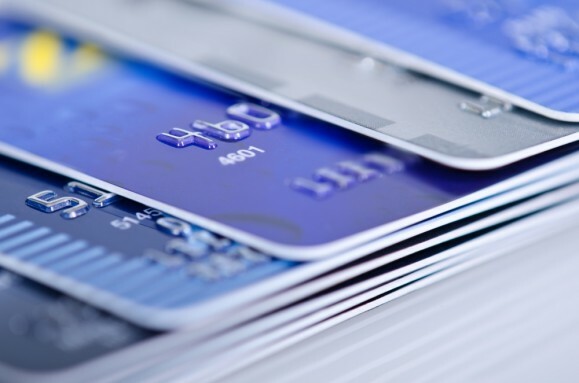 Tier 1 Account – This type of account allows to save only. You cannot withdraw money as many times when you want. You can withdraw money after the retirement only. Tier 2 Account – You can withdraw money as many times when you need or want. You have to have a Tier 1 account to open a Tier 2 account. NPS is regulated by Pension Fund Regulatory Development Authority (PFRDA) which is set by Government of India. The central government employees who have joined job after 1st January 2004 are the NPS subscriber. You have to invest a minimum of Rs 1000 per year to keep the account active. Public Provident Fund (PPF) is a small savings scheme backed by Government of India for the Indian Citizens. This was started to give the facility of Employee Provident Fund (EPF) who does not have the EPF facility from their employer. You can save a maximum of Rs 1.5 lakh in a year in a particular PPF account and the minimum duration is 15 years. You can continue to invest even after 15 years. The loan and partial withdrawal facility from PPF is also available. Every year the interest component is getting added to the principal and thus money is compounded every year. The regular investment to a PPF account in a long term can make your investment bigger and better. You have to invest at least Rs 500 every year to keep the account active. The biggest drawback of NPS is its tax implication. PPF is a much better avenue in term of tax treatment compared to NPS. PPF falls in EEE category of income tax. The investment under PPF in exempted under section 80C of income tax. The accrued interest is tax-free and the maturity amount is also tax-free in the hands of the investor. The contribution of up to Rs 1.5 lakh is tax-free under section 80C of income tax act. Another Rs 50,000 is tax-free under section 80CCD of income tax act. Hence, through NPS, you can claim a total tax benefit of RS 2 Lakhs. But the maturity is not fully tax-free in the investors’ hand. It falls under EET category of income tax. 40% of the maturity is tax-free. And 40% of the maturity has to be converted to an annuity plan by which you will get the monthly pension. So, the remaining portion is 20% of the maturity. Now, if you use this 20% money to buy the annuity you don’t need to pay any tax on that amount. But, if you take it as a lump sum you have to pay according to your applicable tax slab. This tax treatment of NPS is a big concern for the NPS and currently, it is under review by PFRDA. Currently, PPF has the interest rate of 7.9% per annum and it has been reset in every quarter by Government of India. The interest rate is linked to the Government securities, bonds etc. It is a debt based product and the interest rate is more or less fixed. In the other side, NPS does not give you the fixed rate of return. The investment in NPS is allocated to the different asset class such as equity, government securities, and bonds. The interest is not accumulated at the end of the every year. The value of investment grows and you can realise at the time of maturity. Do you want an investment with full liquidity? Then any of the options may not hold good for you. As both are the investment option for long-term, you may not access the invested amount for your need before the maturity. Though it is wiser to have contingency amount for any emergency, still you never know your future when you want some money out of it. You can invest in NPS if you are in between the age of 18-60 years and you will get the money after the 60 years of age. On the other side, at any age, you can invest in PPF and you have to be remaining invested for a minimum of 15 years. You can partially withdraw from PPF in the case of marriage, house construction etc. The difference between NPS and PPF has been shown in a table for easy understanding. I have also included EPF in the table so that those who have EPF can distinguish the features. Return is equity-linked, Not fixed Rate is fixed by GOI every quarter. Rate is fixed by GOI every quarter. Before deciding where you should invest NPS vs PPF you should select the goal for which you want to invest. In this case, we are considering retirement saving is the requirement. Hence, a handful amount is required after retirement. If you want a monthly pension, you have to buy an annuity plan at the time of retirement. It is not necessary to save in NPS to buy an annuity plan. You can also buy an immediate annuity plan with the maturity from PPF. Pradhan Mantri Vaya Vandana Yojana is one such plan by which senior citizens can start pension immediately by investing the lump sum into it. Now, NPS has the tax benefit of extra Rs 50000 which lures many investors to invest in this. My suggestion would be not to invest in the NPS only for tax saving, know why. Moreover, NPS blocks your money till the retirement and you have to buy an annuity plan at that time. You have to decide today what you will buy after 20-30 years. I think it is not fair for any investor. Though who are not disciplined enough and think that they cannot manage their finances, they can opt for the NPS. Otherwise, PPF is more suitable for long-term value creation over the years. You can also look other products than NPS and PPF for retirement planning.